It’s time for more pretty packaging details! A gorgeous shop that just popped up on my radar is Caramelos. 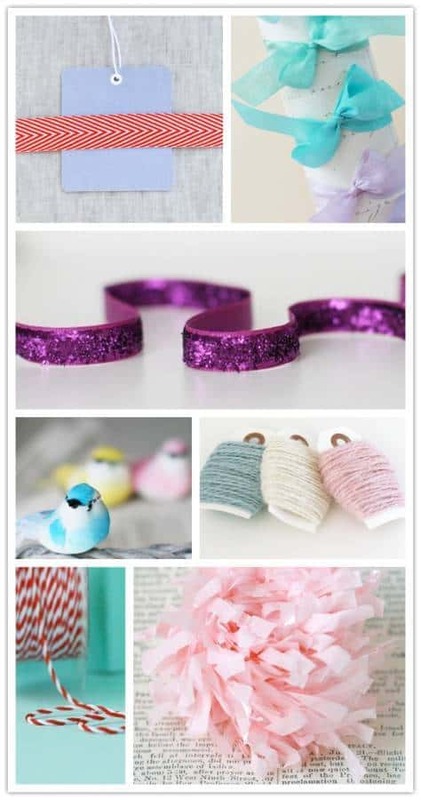 They’ve got a fantastic variety of ribbon (isn’t the glitter ribbon to die for?) but they also have amazing millinery accents like mushroom birds and flocked deer. All of their products are incredibly cute. Some of it has great retro chic flair, and they all make me want to get crafty, stat!